As most business owners know, your reputation is everything. However, when it comes to managing your online reputation, sometimes it can be more of a challenge than it seems. Just one bad review online can haunt you for a long time, so you want to be sure you are staying on top of your online reputation and maintaining a positive image on the world wide web. One of the best ways to do this is through positive Google reviews. 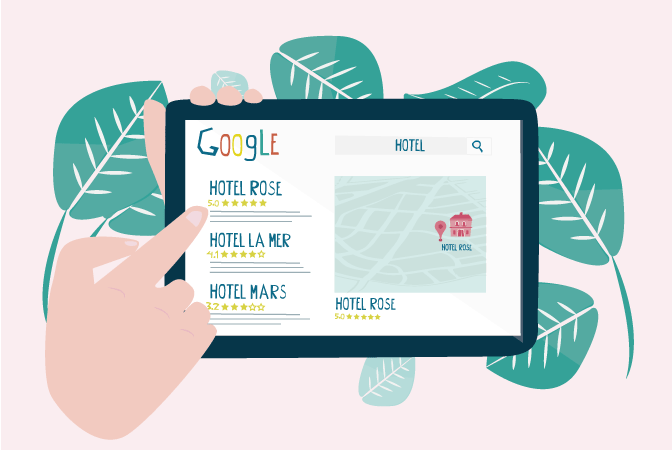 The average consumer considering using a business for the first time is going to turn to Google reviews to get a better idea of what they can expect from a company and to see what others have experienced by using this business. But how exactly do you generate more positive Google reviews? Here are a few tips to get you started. Educate Your Customer on How to Leave a Review. Most happy customers will gladly leave a review unless it becomes difficult and turns into a chore. You want to make the process as easy as possible for your customer, so educate them on how to leave a review. You can include this in an email, add prompts on your website or even make a sign for your front desk that walks them through the process. Make it Simple. You can always teach your customers how to leave an online review, or you can simplify the process with a QR Code. All they need to do is scan the code, and they can quickly leave that glowing review you have been looking for. Offer an Incentive. This a great way to encourage people to leave reviews. Just make sure if you are a medical office that you are staying HIPAA compliant. Perhaps you allow every person who leaves a review to enter a ticket into a raffle drawing, it is a fun incentive that can motivate people to leave their feedback. Follow Up With Past Customers. Following up with past customers to get a better insight into their experience is a great way to get valuable data on how your business is performing and to look into what you can do better. When you follow up, why not ask happy past customers to leave you a review? They don’t have to be new customers to let others know about their experience. This is an often untapped resource that can help boost your online reputation. At Life In Motion, we have helped many clients grow their business and manage their online reputation. This is a vital component of any quality online marketing initiative and one that can help change your business for the better. After all, with an estimated 92% of consumers reading online reviews, it is more important than ever that your company has the right reputation behind it. If you are looking for the best way to generate Google reviews and to manage your reputation online, then consider giving Life In Motion a call today.